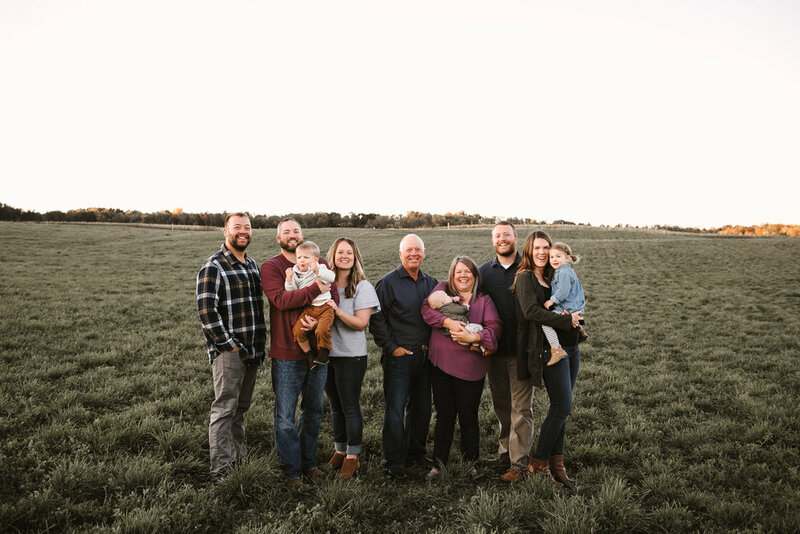 Peterson Craftsman Meats is a family operation raising and procuring local, heritage-bred livestock. Our family started out milking cows and raising crops on a farmstead near Deronda, Wisc., in the 1930s. We continued to milk until the 1960s - and added land near Dresser and East Farmington, Wisc., as the family grew. In 1969, we diversified into cattle, pigs, and broiler chickens. We began to direct-market our product to neighboring families through local butchers. Today, our family includes Wayne & Christine Peterson, Andy & Jenna Peterson, Nick & Elizabeth Shope (Noah, son), and Ryan Peterson. Our home farm is near the St. Croix River, in close proximity to Osceola. In the fall of 1973, we purchased our first Limousin steer calves for the Wisconsin State Fair. After witnessing firsthand the muscle, growth, and efficiency of those calves, we’ve been breeding Limousin ever since. Limousin cattle have been treasured by French cuisine for centuries. Each of our cattle go through a proprietary dry-aging process after harvest. The process enhances the bold, beefy flavor of Limousin beef and enhances tenderness noticeable in every bite. We believe in raising livestock as nature intended - taking what the land gives while not taking it for granted. We aim to build the soils of the Valley with organic matter and recycle nutrients through crop rotation and rotational grazing. Our customers notice the savory taste and tenderness of heritage-bred livestock, while taking comfort in knowing the animal was raised with care. If you're looking for meats that are raised with integrity, we'd love to be your farmer of choice. We believe the greatest "label" that can be attached to a product is one that allows a relationship with the farmer. Contact us today!